[Update] JailbreakMe 3.0 for iOS 4.3.3 is out! 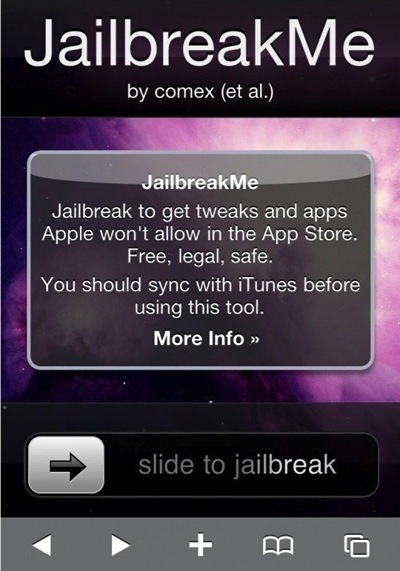 JailbreakMe.com by comex (et al.) now provides an easy way of remotely jailbreaking the iPhone, iPad and iPod – including those running iOS up to 4.0.1. The technique works thanks to a specially-crafted PDF document which exploits a vulnerability in the font engine library (possibly libfreetype) used by Mobile Safari. Another local privilege escalation exploit (possibly in IOKit) is then used to gain root access on the device, allowing for the jailbreak to take place. Depending on the device used to visit jailbreakme.com, the site will deliver one of its existing payloads, to perform the initial exploit. During the jailbreak it will download an additional 3.7MB bin file. Although this may seem like a great ‘feature’ to potential jailbreakers, users should be aware that a severe underlying flaw exists which allows this remote jailbreaking to take place. Until Apple patches this, iPhone users should beware of visiting untrusted sites, as this same exploit could potentially be modified to carry out attacks on legitimate non-jailbroken iPhones. Here’s a video of someone jailbreaking Apple Stores for fun. [Update 4/8/10] ultrasn0w update brings iPhone 4 carrier unlock. 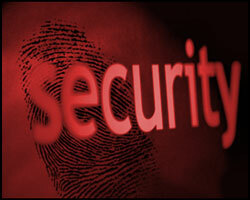 [Update 11/8/10] iOS 4.0.2/3.2.2 update patches these two vulnerabilities. [Update 12/8/10] comex has released the source code for the jailbreak exploit.